REMEMBER BOOK YOUR MUDEYE'S AND WORMS BEFORE THEY ALL GO!! Eucumbene dropping why?? If you are needing information why lake Eucumbene is dropping contact the Snowy Hydro!! I'm sure they will tell you a good story!!!! All dams full except Eucumbene? 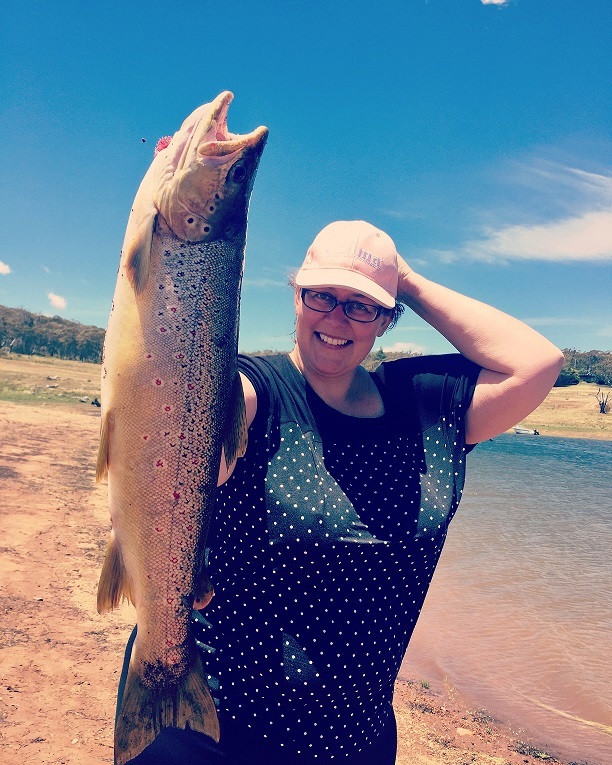 Lake Eucumbene is still fishing well as you know the lake is still going down but the fishing is still at it’s best most parts off the lake is going well on the fly with some really good reports coming from Braemer Bay, Buckenderra, Middle Bank, Rushes Bay, Seven Gates. Best times have been early mornings and late afternoons both rainbows and browns are going well. Best Dry Flies have been Midge, klinkhammers, Royal Wulffs, and a few grass hopper patterns. 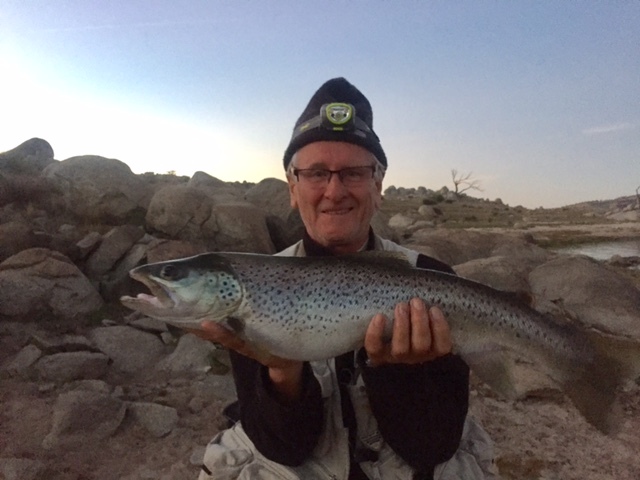 Lake Jindabyne has Improved over the last two weeks with some good rainbow being caught late in the afternoons along with a few good browns. The lake is still nice and high and looking good so I’m sure if your heading up that way you will have a great time. The lake is still fishing well as it is still dropping but that hasn’t stopped the fish taking the flies, good reports coming from the top end off the lake and up around the mouth off the river. So if you are heading that way for Chirstmass your heading the right way. the lake has been dropping but it has not stopped the fish biting things are looking really good up that way with some good reports coming in up the top end with the browns being the ones on the chew. Most fishers have been very quite about the flies they have on but I am sure it wouldn’t take long to work out!! again if you want fish at the right time you will get results. Do not forget about the other lakes Guthega, Island Bend and all them little dams you drive past when heading up the mountains yes you can fish them and you will be very surprised. Here's a couple of shots of fish caught this last week on Eucumbene. Really awesome fishing there at the moment, fish we found were chasing midges, tadpoles, green and small black nymphs. We pretty much equal numbers of rainbows and browns. The rainbows are incredibly fit and fast, as you know! Trolling has been good in most places on the lake with reports coming from Braemer Bay, Buckenderra, Anglers Reach, Seven gates, Frying Pan but remember if you want fish go at the right times early mornings and late afternoons are the best times. Over at Braemer Bay trolling Tassie devis, Blades, Rapala’s, King Cobras are all going well. Last weekend my friend took me trout fishing, for the first time. We stopped off at your store, as my friend always drops in on his way into the mountains. I have just started getting a feel for lures, and like the casting weight of blades. I bought a couple of them from you and we headed off to Angler's Reach. It was a glarey hot day with a very strong wind. I was using braid with a mono leader and the braid was billowing widely with the wind. The wind blew dust, our hats, and even blew the camp chairs over. Hardly ideal conditions, as well as being in the middle of the day. Harry quickly caught an undersized brown trout, then shortly afterwards an undersized rainbow. We were thrilled that the blades were getting results. I then walked a little further along the water's edge and caught my first ever brown trout. Not much of a fight but thankful that Harry had the net handy. Thank you for selling me the silvery rainbow lure with 'cyber vibe'. After being an estuary fisherwoman, I'm now hooked on the mountains! jindy is fishing well on the troll with some good browns coming out, Over at Kalkite on the western side early mornings have been good with the rainbows down at hatchery bay trolling with rapala’s and blades have been working well on the browns out in the deeper waters trolling with the 26 gram Tassie Devils have been good on the browns and rainbows. Remember early morning fishing has been at it’s best so get on the water before daylight that’s when the fishing is at it’s best. Things are still looking good up that way worth a look so if your heading that way call in on your way back we would love more reports thanks. Mud eye’s, worms, Power Bait are going off at the moment with some really good fish being caught. Best reports have been over at middling bank and rushes. Has been ok in places but we are still needing more reports what we are hearing is the worms and power bait are going well on the western side of the lake.